Dainton Park Golf Club in Newton Abbot is a locally renowned course which opened its doors in the early 09’s to anyone wishing to enjoy a social, healthy lifestyle. 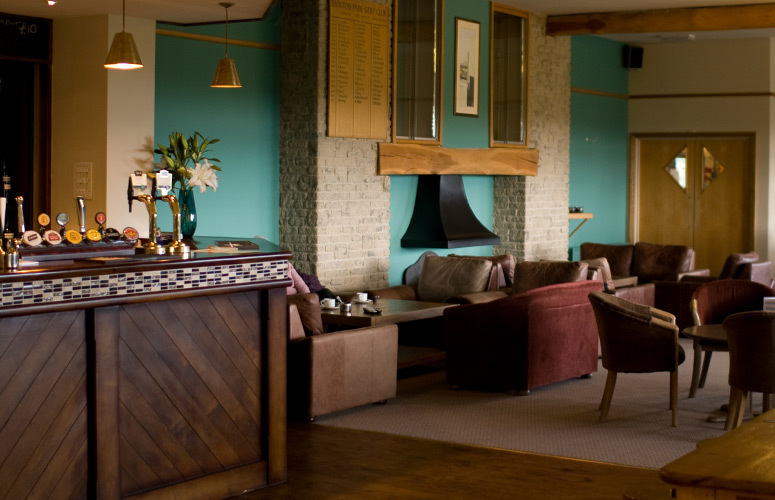 In recent years the club has expanded and Dainton now offer restaurant dining, a health suite, wedding, gym, function and business space as well as their 18 hole course. We were commissioned to give their bar and restaurant space a refresh that would give club members a more comfortable pre and post-match venue. 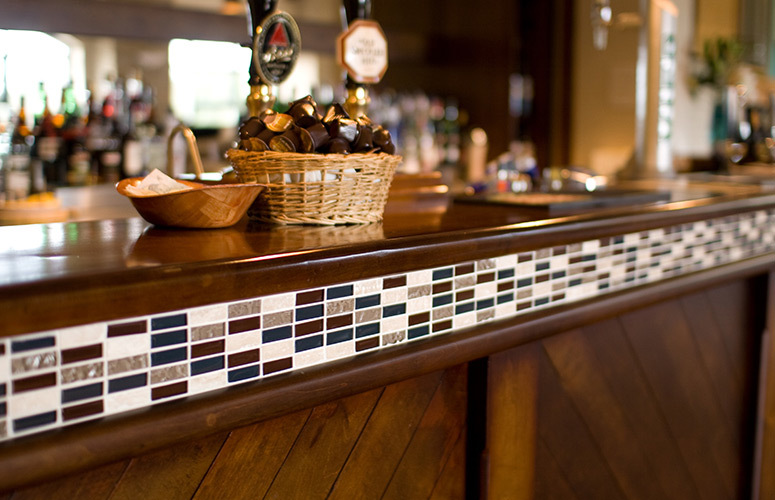 As well as design, we also provided a design and build solution for the bar joinery work, decoration and upholstery. The client sourced their own furniture and floor finishes. 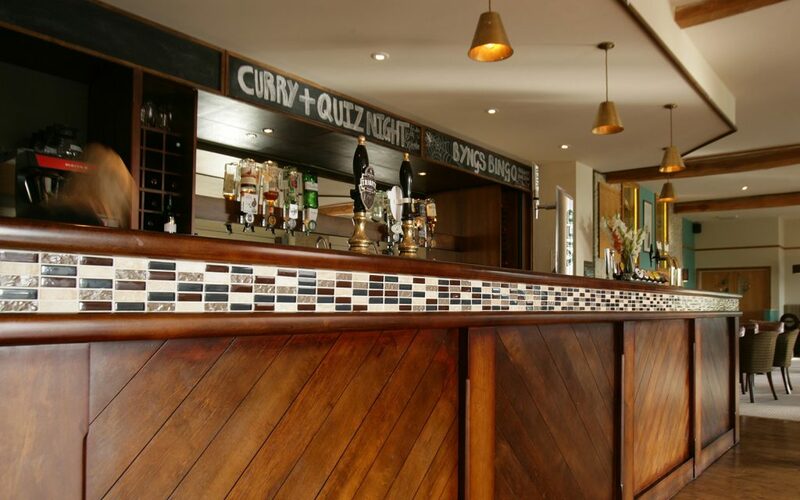 As well as design, we also provided a design and build solution for the bar joinery work, decoration and upholstery. The client sourced their own furniture and floor finishes. The restaurant was later named ‘The Oak Room’ and feedback from the client said that thanks to it’s welcoming design it has enabled them to reach out to non-golfers as well. 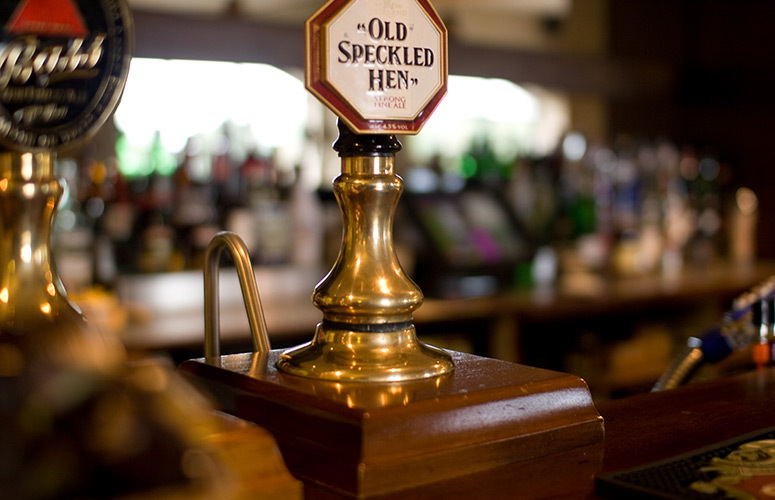 The Oak Room now serves a selection of British fare, all home cooked and predominantly locally sourced from the areas close to Newton Abbot and Totnes. 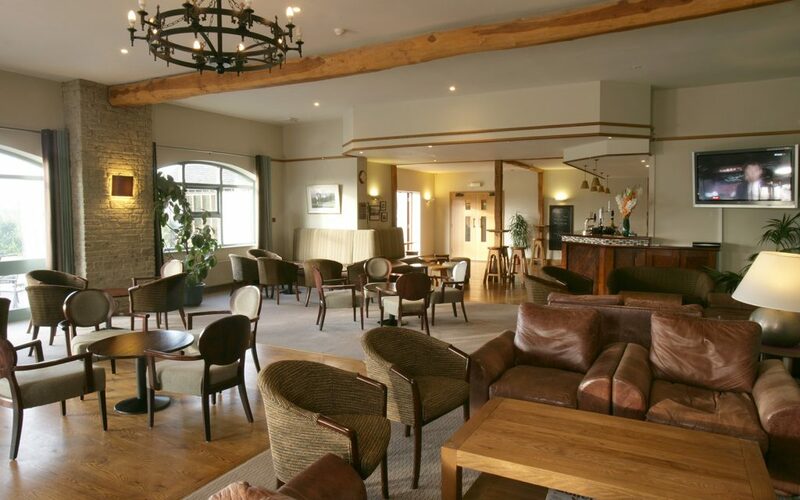 Contact Dainton Park today to find out more about membership, green fees, restaurant booking and golf club hire. Ready to start you interior design project today? Head over to our contact page to get in touch and find out what we can do for you.